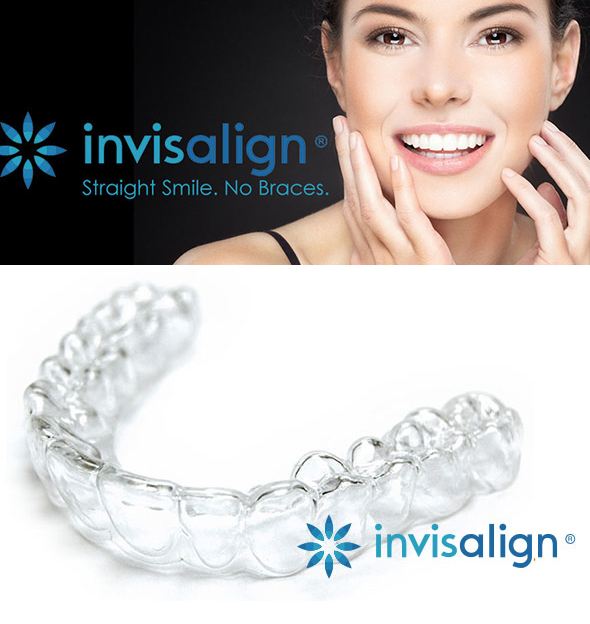 We are proud to offer Invisalign clear aligners. Our patients are very happy with the process AND results of Invisalign. Invisalign is a great example of the marriage of many experts and systems. Invisalign actually takes a CT scan of the dental model of our patient's mouth. Using that CT scan, a computer model is created, from which 3-D CAD/CAM milling is used to fabricate the many aligners that make up the sequence of aligners included in the treatment. Taking it one step further, our office has a unique $800 discount offer which includes the full Invisalign treatment, PLUS an Invisalign retainer at the end of treatment, PLUS a dentist-supervised professional teeth whitening, PLUS a $800 bundle discount . Simply put, our office offers all three of these services for less than what other dentists charge for just the Invisalign treatment alone. Call us today at (703)207-3000 and ask our patient coordinator about our Invisalign bundle.